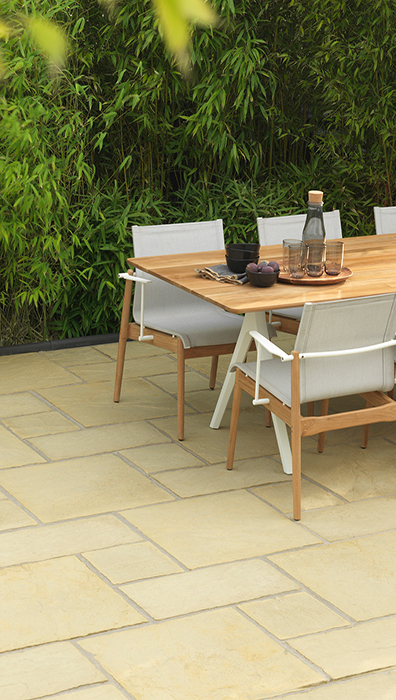 Stonemarket proudly launches NEXTpave, the next generation of the popular Millstone and Yorkstone paving. This new hard landscaping solution recreates the much loved character of Millstone and Yorkstone paving whilst its reengineered patented base design allows the paving to be laid on a sand screed bed to ease installation. Not only does the paving ease installation, the innovative base design allows the paving to make a solid connection between each flag enabling perfect automated joints to be created. When laid on a sand screed bed and jointed with Fast Point the paving also enables a reduction in surface water pooling and weed growth. If laying on a sand screed bed is not your preferred method of installation, NEXTpave is perfectly suited to conventional mortar bed installation; simply take advantage of the quick automated uniformed joints. For both installation methods ensure an edge restraint is installed on a concrete footing before being haunched. We recommend the use of Stonemarket’s Fast Point Jointing solution for optimum results. Millstone NEXTpave is painstakingly moulded from natural stone masters to produce the truly stunning character of original stone. Available in three colours and seven sizes, as well as projects packs; Millstone NEXTpave will look at home in traditional design settings and blend seamlessly in gardens of period properties. The coordinating circle features and stepping stones are sure to make a beautiful focal statement in many garden design options. 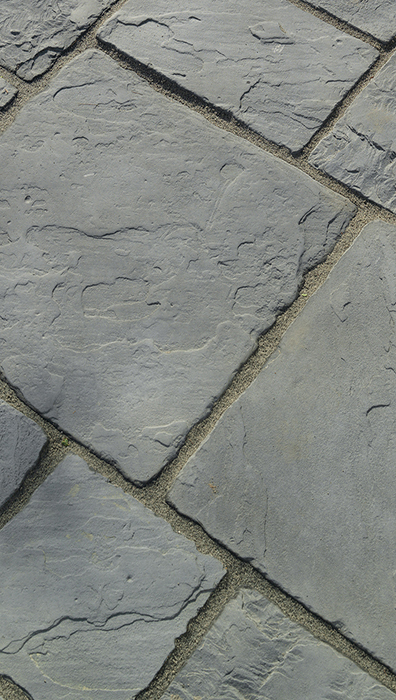 Yorkstone NEXTpave replicates newly quarried English stone and is available in four colours and four sizes. Project packs are also available as well as circle features and stepping stones. 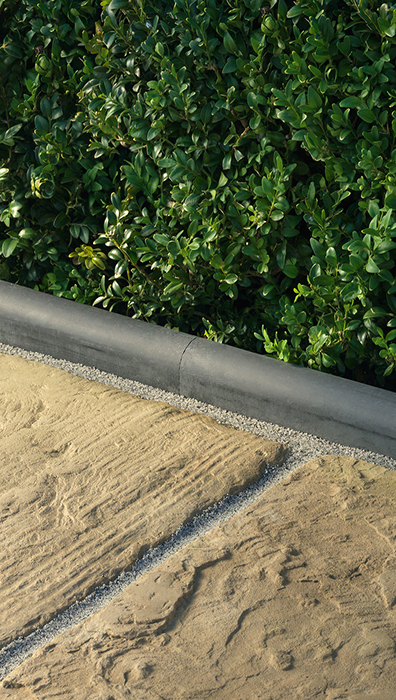 Yorkstone NEXTpave is perfect for cottage gardens and quaint outdoor havens. Always use a suitable edge restraint, that’s laid on a concrete footing and haunched. Ensure a solid connection is made when butting up the flags to ensure a perfect uniform joint. NEXTpave must always be installed using Stonemarket’s Fast Point jointing compound. Saturate the paving whilst brushing in Fast Point with a stiff brush. Always wash off excess Fast Point using a light spray and soft brush. Failure to do so may result in difficulty removing excess Fast Point once the curing process commences. For full jointing instructions view the Fast Point video by clicking here. For more information on NEXTpave click here or contact 0345 302 0603 to order your copy of the Stonemarket brochure and to order samples.